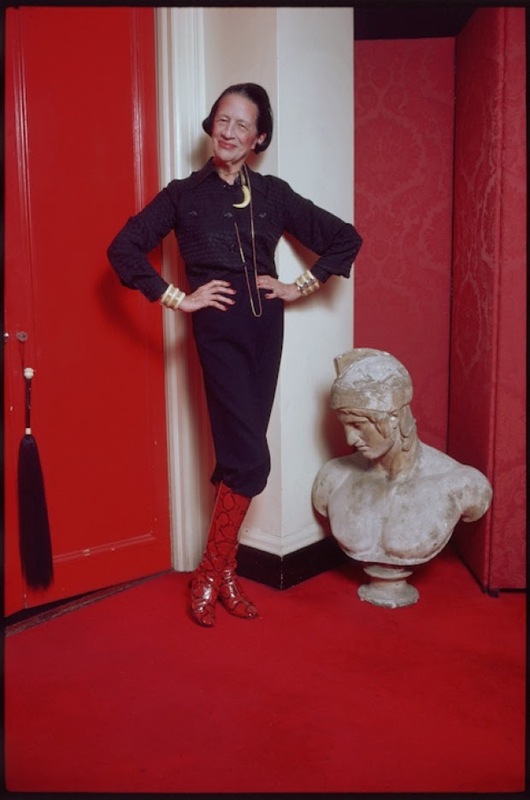 You'd think that the credentials alone would be the reason for my admiration of Diana Vreeland: fashion editor at Harper's Bazaar, 1936-62; editor of Vogue, 1963-71; consultant at the Met's Costume Institute, 1971-84. But she was so much more than her resume. Just look up any interview with her, or just look at the images here, and you'll see that she had a larger-than-life personality and vivaciousness that couldn't be contained. Watching this documentary, you'll be amazed what an influence she had on the fashion industry, and how willing she was to throw out the old in favor of the new. 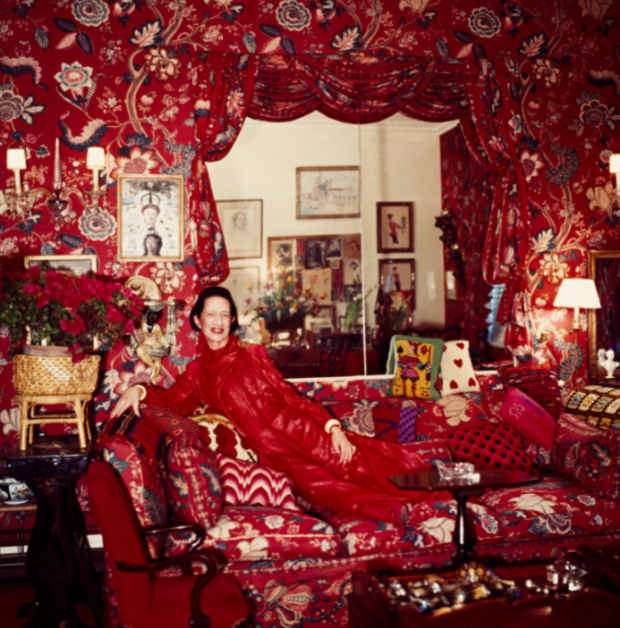 I've been sitting here for 10 minutes trying to write about Vreeland's style and I really can't sum it up because she truly seemed to pick whatever she found most attractive, regardless of its taboos or apparent randomness. She was insistent on making appearances and stories as interesting as possible, even if her versions of things weren't totally true. As someone who likes to try many different styles (sometimes as once), I admire her flippant disregard of what's "tasteful" in favor of something much more vibrant, full and well-rounded. For my makeup tribute to her, I've liberally applied her favorite item & color (see to the left and above for proof! 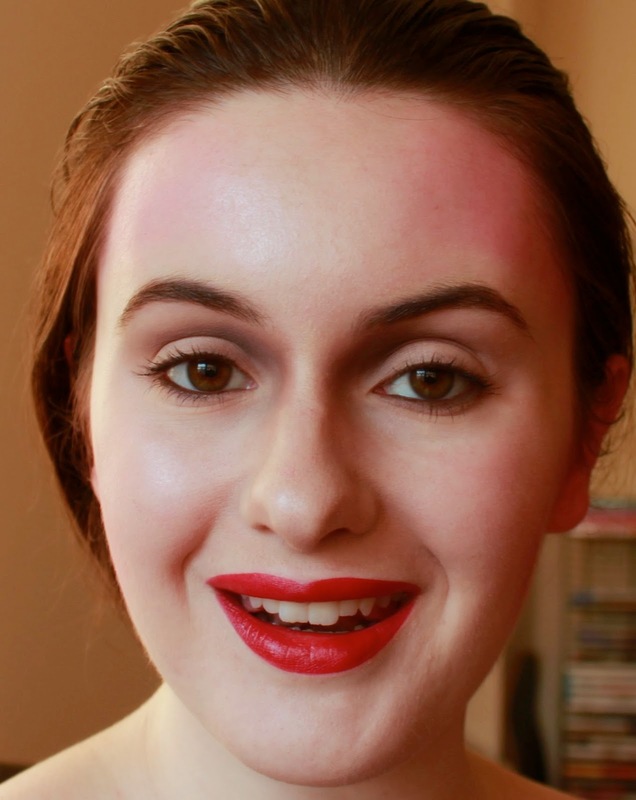 ), rouge, as both contour and lipstick. In her documentary you'll hear that she got the idea to apply rouge to her ears from Kabuki performers, another example of her pursuit of the most singular ideas no matter their origin. I created a faux-bob on myself to emulate the hairstyle she rocked all her life and kept the eyes minimal. I left out a tutorial as I do for many of my more out-there looks, simply because I get so involved in creating them that taking photos kind of shatters the process. But please, comment with any questions! 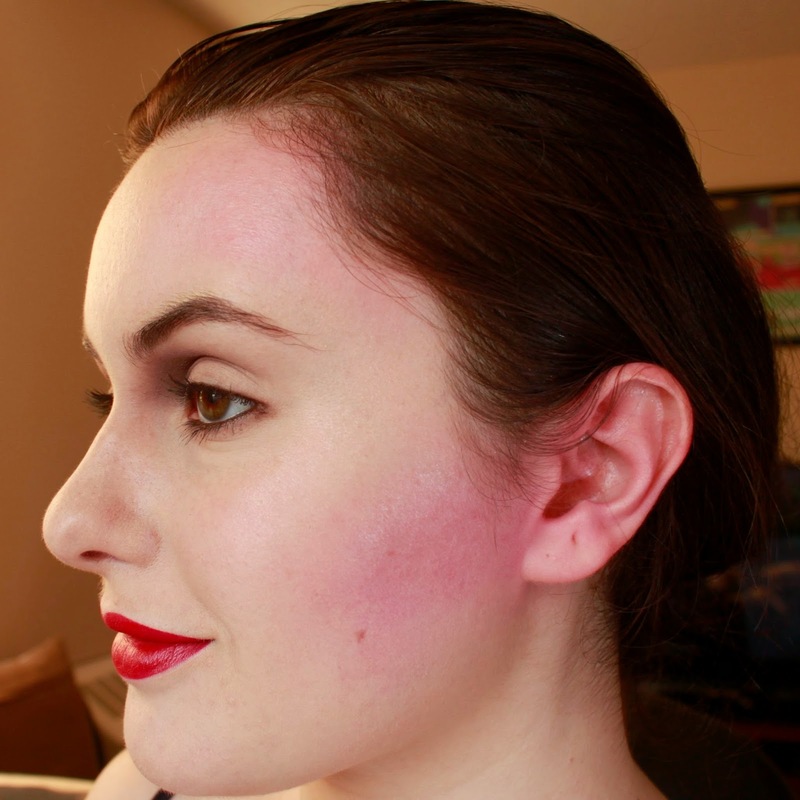 I will include a quick tip on applying highly pigmented blush like this: a stippling brush will be your best friend! Get some product into the bristles and take off most of it on the back of your hand, and then you can start going onto your face lightly without created a huge blob of color you can't blend out. Had to throw in a smiling shot for DV! 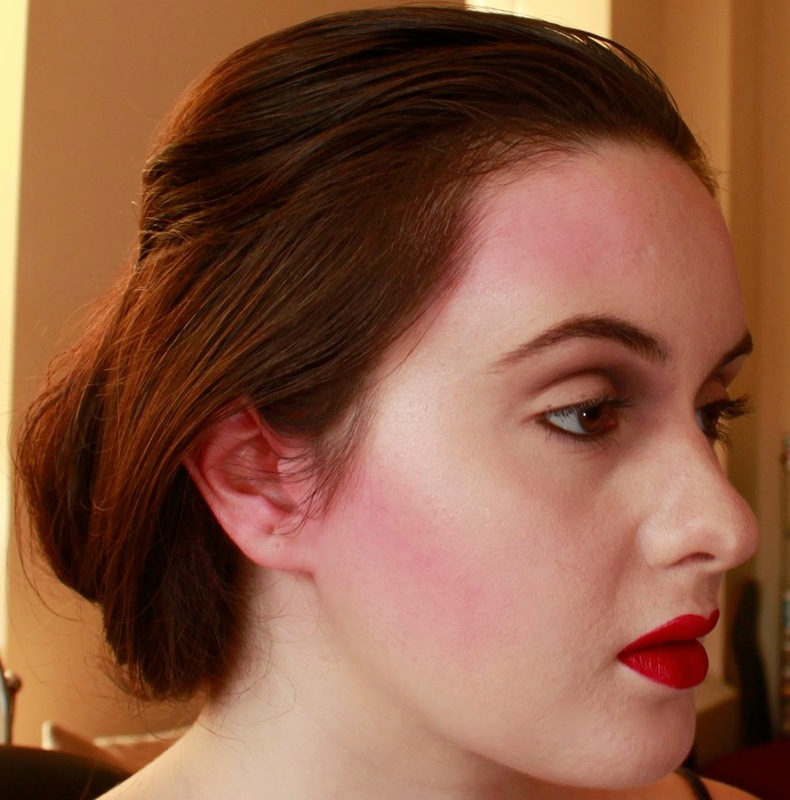 You'll notice the lip shape I've created has a much more rounded cupid's bow than I normally would; this is a very classically 50's shape that Vreeland seemed to wear often. I just watched the movie from your recommendation, so lovely and inspiring! She would have been a fascinating person to know. It's really interesting to see how such a magnificent person chose to style herself, especially in terms of makeup. I love how you interpreted and recreated her unique look. I may just have to try some rouge now! Wasn't she incredible? So ahead of her time. I love the anecdote about her showing editors a bikini for the first time, and they were all in shock and she said "With an attitude like that you'll keep civilization back a thousand years!" And thanks, I hope you have fun with it!